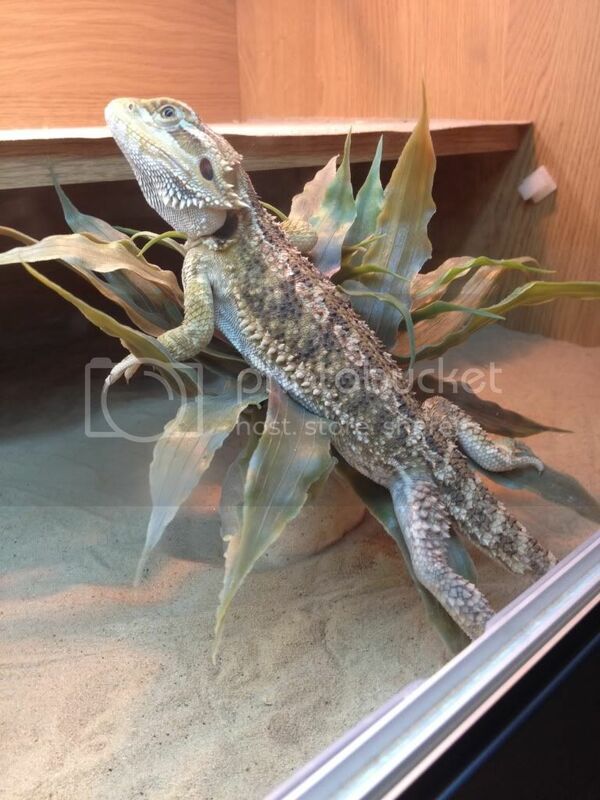 I purchased my beardie a few weeks and I am not sure how old he is, he is about 11 inches (30cm). A chart I saw lists him at 12-13 weeks. Is this right and he eats 3rd size hoppers. Not sure how to upload a pic. He should be fed three times a day, as much as he can eat in ten minutes each time. Hence my comment on your other post about eating hoppers!